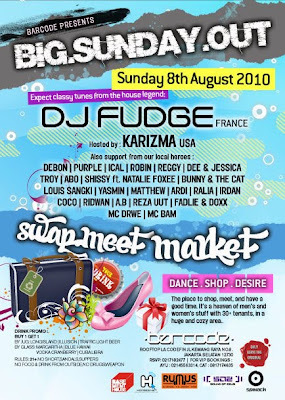 Basement House: DJ FUDGE and KARIZMA coming to JAKARTA !!! DJ FUDGE and KARIZMA coming to JAKARTA !!! Last day out before fasting month. The place to shop, meet, and have a good time. It's a heaven of men's and women's stuff with 30+ tenants, in a huge and cozy area..